Adam wonders why Barbershop spin-off Beauty Shop never got a sequel. The Spinoff to the Comedy Classic comes to Blu-Ray from MVD’s Classics Label. Spin-offs are tricky ventures, especially in film. Often times they fail to capture what made the original so enjoyable and successful or fail to find its own tone and voice. Even in Television where the Spin-off is King/Queen, there are more failures than successes (CSIs, NCISs, and Fraiser withstanding). So, it is truly odd when one works as well as Beauty Shop there were no follow up. Gina (Queen Latifah) has moved to Atlanta from Chicago for her daughter a musical child protégé. She has worked her way up making a rep as one of the best Hair Stylist in the area working for the Prick with a curly mop top Jorge (in crazy Kevin Bacon cameo). After being held back by Jorge for years Gina decides to break out on her own. Purchasing an in-disrepair Salon, Gina and her crew of unique stylists work hard to make Gina’s Beauty Salon a success. Though very quickly we learn, as Gina does, this isn’t as easy as it seems. It doesn’t hurt that the film’s cast has five Academy Award nominees all doing great work lead by the indomitable Queen Latifah. Latifah as Gina is the emotional core of the film. The hard-working, smart, funny and endearing single mother is not just an audience cipher but a woman with hopes and dreams and more than just a single mother. The relationships that are built between her and her staff, her and her family, and her and Djimon Hounsou make up the film and never feel like they’re stitched together rather an organic story of a woman’s strive to be successful. The cast also does great supporting work here lead by Alfre Woodard, Hounsou, Andie MacDowell, Alicia Silverstone, and Mena Suvari. The film’s success lies in the adherence to the formula set forth by the original Barbershop. In these types of ventures those going in a different direction can bare success oftentimes it only helps to alienate an audience. Beauty Shop with its business success story has no aim other than to shine a light on good people doing positive things. That is in fact what makes the film so powerfully successful. As crowd-pleasers go, Beauty Shop delivers. The Transfer MVD was provided is aided by an update on the compression side. The transfer is decent with good grain structure but isn’t as “eye-popping” as a more modern transfer would have been. It’s still a great transfer aided by modern compression, which just by comparing the original DVD to this Blu-Ray one will be happy with the upgrade. The Commentary is good albeit very slight. It is listed as a “selected scene” commentary by Bille Woodruff though the commentary plays out over the entire film. One will need to watch the entire film to get what amounts to about 35-minutes of commentary. Minor gripe they did not include the encoding for the commentary to jump to the specific scenes Woodruff did do commentary for. Beauty Shop: Inside the Style is a 15-minute EPK that’s more of an extended glossy Entertainment Tonight-style piece hosted by Latifah. As EPK-style featurettes go this is as polished as they come. You won’t glean any meaty information from it but it’s entertaining. The Gag Reel is your standard people laughing or flubbing their lines nonsense. Beauty Shop: Sneak Peek is an abbreviated EPK style featurette also. Not as refined as the first but done in that similar fashion. One wishes either had more to offer like the similarly produced content for both Barbershop films. This isn’t a dig at MVD because they are merely recycling this content from the original DVD release. This is more of a critique of the original release. 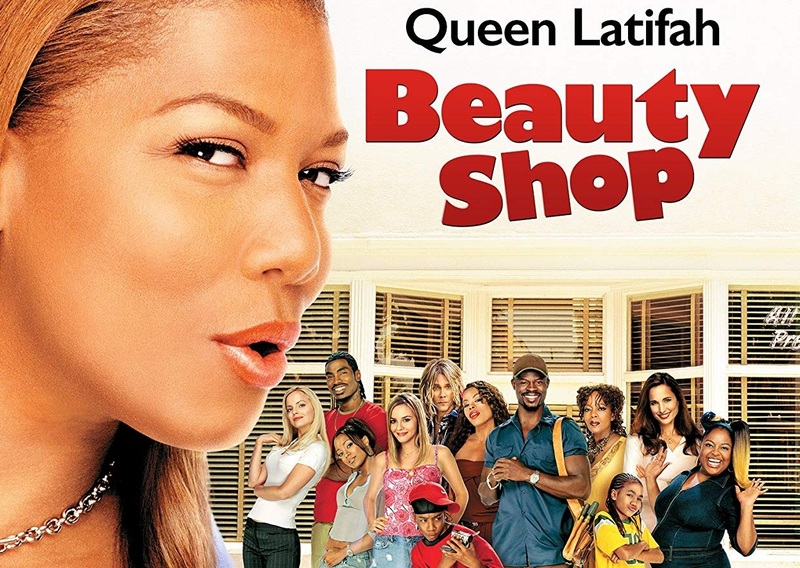 Rounding out the special features are the trailers for Beauty Shop, Barbershop, and Barbershop 2: Back in Business. Beauty Shop is worth your investment. Though light on special features the disc features a solid transfer for a well made feel good movie. Recommended.